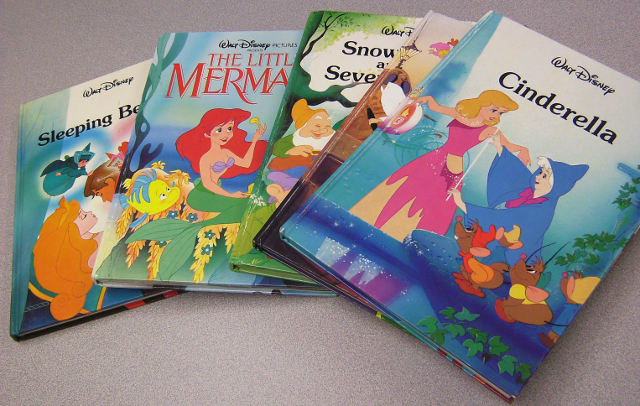 What was your favorite fairy tale growing up? Why did you like it? In fairy tales always end with “and they lived happily ever after” do you think that is true for real life? Real relationships? Why or why not? If at all possible work through one story completely as a class to help students understand how to analyze the story with “relationship glasses” on. Have students work with a partner and choose a fairy tale to read. Tell your students to read the fairy tale completely. Then give them the assignment. What characteristics does each character have that are negative/positive? Which characteristics if taken to extremes could be negative? What insecurities might these characters have? What things can you assume about the character based on stereotypes? Ex. Prince Charming in Cinderella was an only child therefore he probably got every thing he wanted, didn’t have to share and a lot of attention. What problems would the main characters that fell in love encounter in the real world? Ex. The likelihood of Cinderella and Prince Charming staying married is 50%. How good of an example is the love that is depicted? Is it true love? Explain why or why not. Rate their potential to live “happily ever after” from 1-10. Explain your reasoning. You can have students bring in movie clips or provide movie clips (How to take a movie clip) to analyze clips that portray more real situations than fairy tales. Current movie clips are often where teenagers learn how to behave in relationships so questioning what they have seen is often an eye-opening experience for you and your students. Which fairy tale do you think was the best depiction of a healthy romantic relationship? Which fairy tale was the worst depiction of a healthy romantic relationship? What are some red flags or warning signs that someone may not be a good potential partner? What are some warning signs that a partner may have abusive tendencies or anger problems? Grade the worksheet (below) that they hand infor completeness and depth of story dissection. What grade level is this for? Thanks! I did this lesson with my high schoolers but you may be able to get away with doing it will middle schoolers.